The original Strathewen Primary School first opened its doors in 1917 and the enrolment has varied over the years. With a current enrolment of 32 students, Strathewen Primary School is a small school with two multi-age classrooms, grade P-2 and grade 3-6. Our school, which was rebuilt in October 2010 following Black Saturday, offers outstanding facilities. Our school gardens and grounds, developed since 2010, have won multiple awards, with features such as Cubbyland, the Village, the Fitness Trail, the hillside slide, the chicken coop, the French Chess Courtyard, the extensive kitchen garden, the synthetic turf sports court, the Fairy Garden, the outdoor stage, the amphitheater and lots more. Our students have a wonderful outdoor environment to explore and enjoy. The school runs a Pre-Prep program on Thursday mornings 9am to 11am. Please contact the school regarding places. We are so proud of the Strathewen Primary School Students who came first place in the 2017 Resilient Australia Awards for their CFA Claymation project! The Resilient Australia Awards is a national program that recognises and promotes initiatives that strengthen community disaster resilience across the nation. By celebrating innovation and exemplary practice, the awards showcase work that is often unseen, motivating others to think about how they can be better prepared and more disaster resilient. Well done to all of the students, Jane Hayward and Lisal O’Brien from the CFA who organised the program. Congratulations – a well deserved award. 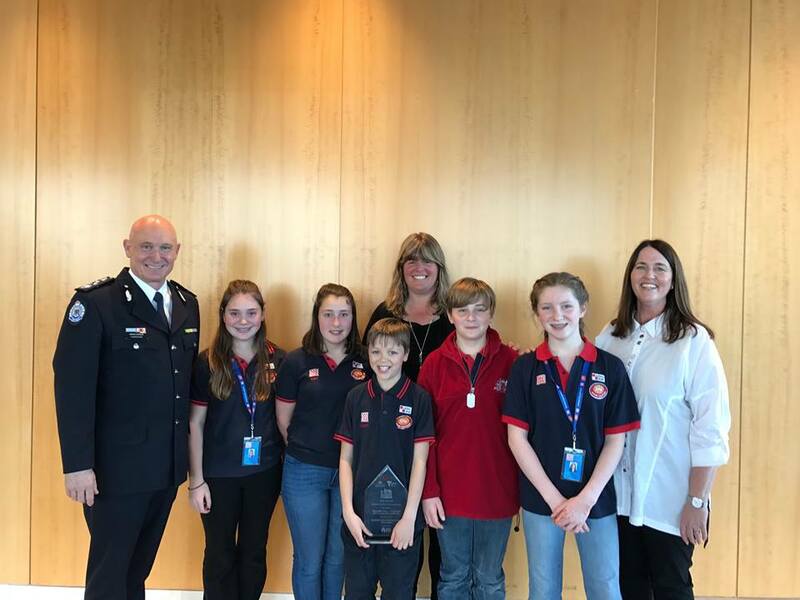 Here the students, Jane and Lisal are pictured with Craig Lapsley – Emergency Services Commissioner. 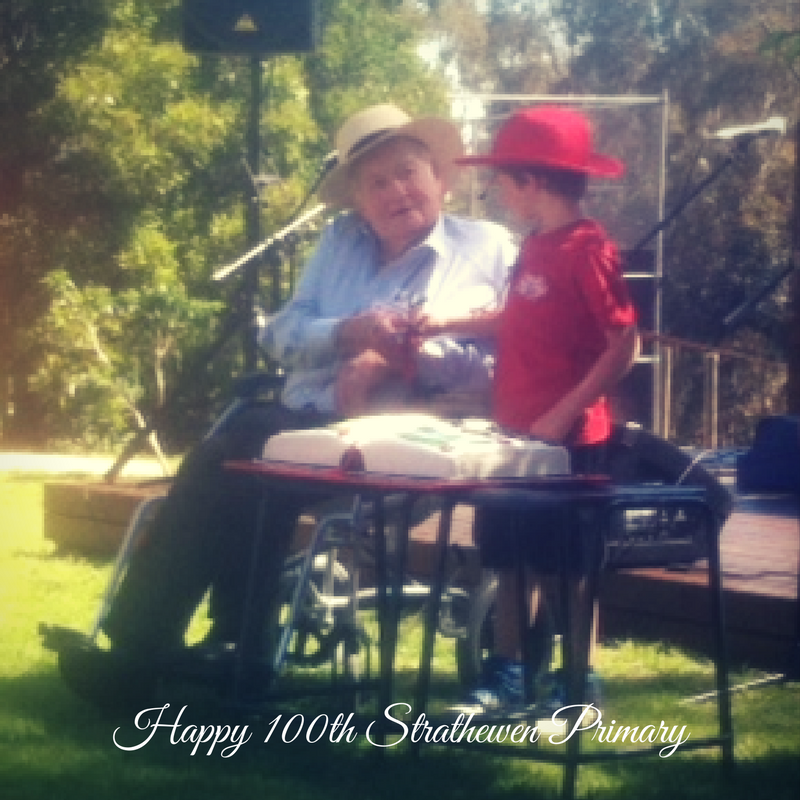 Strathewen Primary School celebrated it’s 100th birthday in October 2017. It was a wonderful day with past and current students attending. Thank you to everyone who came and joined in on the celebrations! Photo courtesy Strathewen Primary School. The official website for Strathewen Primary School is www.strathewenps.vic.edu.au. Please visit for further information about the school.